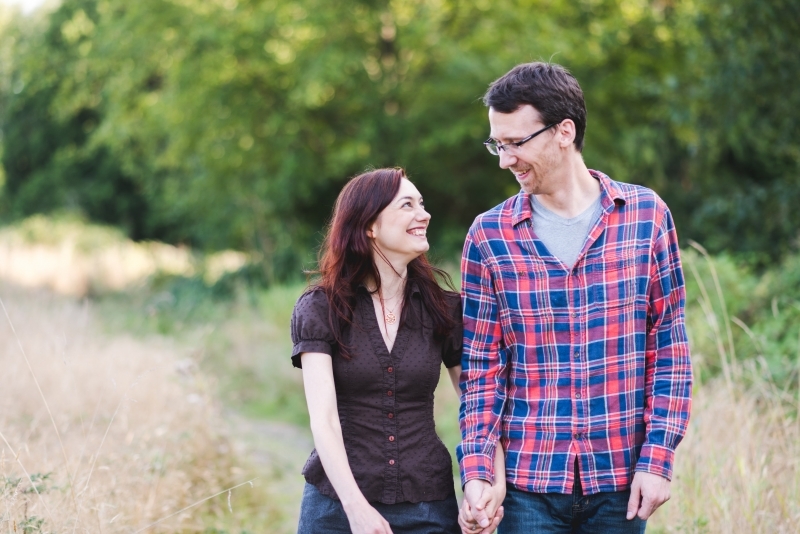 Adoption Profile - Hopeful adoptive parents, Eric and Marissa, wish to adopt a baby. We are Eric and Marissa and are super excited that you are considering us to adopt your child. We can only imagine how stressful and difficult this may be for you. Hopefully, by the time you have finished our profile you will know if we are the kind of people that you are looking for. 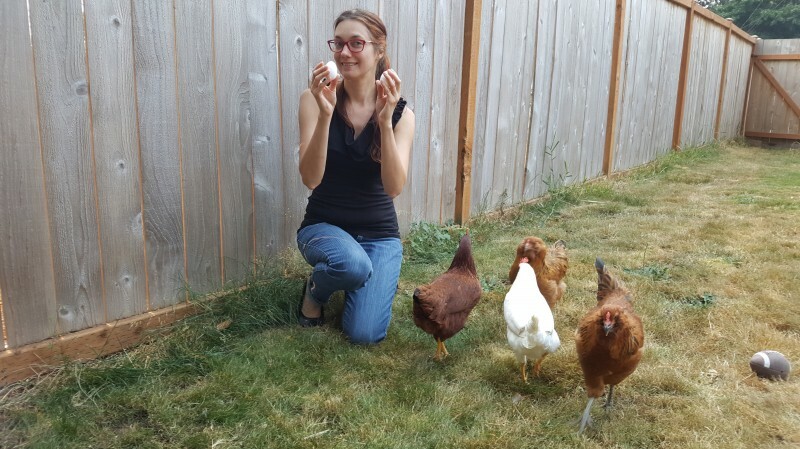 Marissa with our chickens' first eggs. 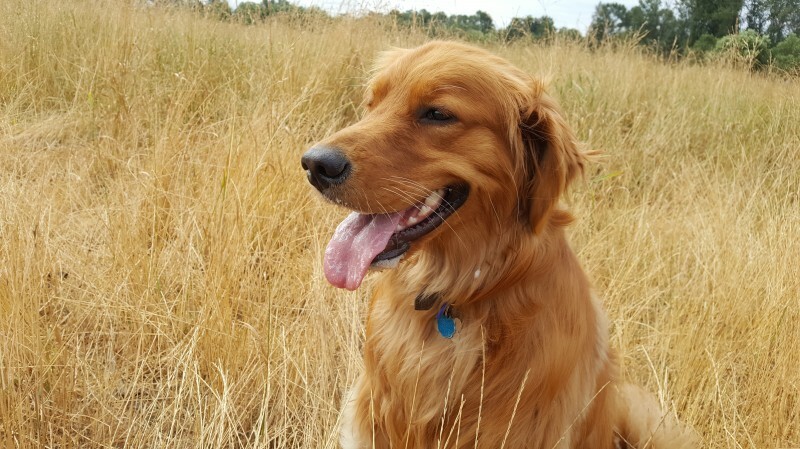 Our dog Chewie at the dog park. Both of us spent most of our lives living in the greater Seattle area. In 2011, we met on a blind date and hit it off. Marissa moved in with Eric within a year and we were married in 2014. Our wedding was super awesome and involved lots of family, dancing, and fun. Marissa completed culinary school in 2015 and now spends her days working as a cook. In her free time, Marissa enjoys cooking and working in the garden. Eric works as a software developer for a small company that makes educational software for special needs kids. After working for the day, Eric enjoys unwinding by playing board games with friends and playing with our dog. That’s right, we have a dog! Her name is Chewbarka (notice the pun), or “Chewie” for short. She’s a real sweetie and is very well behaved around kids. 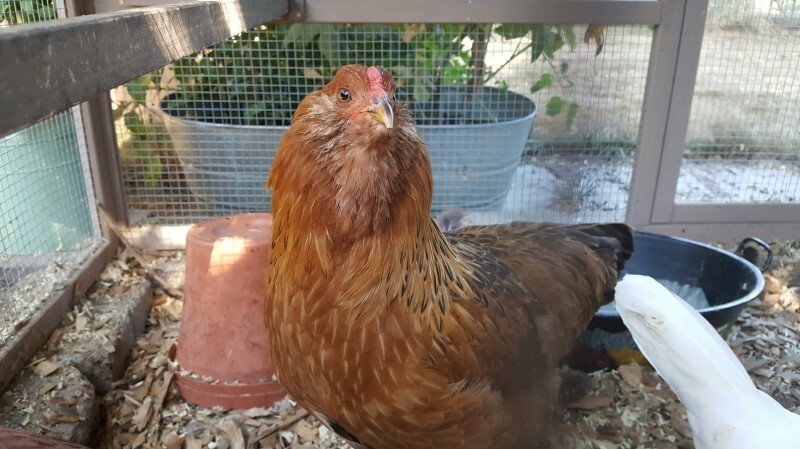 We also have chickens! Not just one chicken. Plural chickens. Four in total. Meet Hazel, Fern, Olive and Goldie. 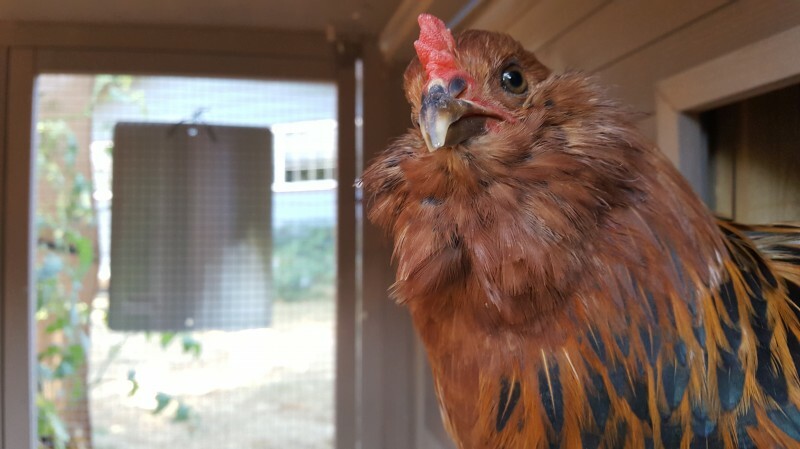 These adorable hens are the latest addition to our family. All together they produce about 3 eggs a day. Eric’s family also lives in the area. That means our adopted baby will have access to grandparents, aunts, uncles and cousins. In fact, there would be four cousins in the area plus two that live in Alabama. Whoa, that means a lot of love and attention. So, that’s us. Hopefully you enjoyed reading our story. If you choose us, we promise to love and care for your baby with all of our hearts. If you don’t think we are the right fit, that’s okay too, we’re just happy that you took the time to consider us.